Jacky Wan is regional director, Strategic Verticals for Arrow Electronics’ Global Components business in the Asia-Pacific region. He leads the strategy and execution of developing technology solution portfolio and ecosystem capabilities that drive business growth for Arrow’s technology suppliers, customers and business partners. Jacky joined Arrow in 2012. He has held a number of regional marketing and business development roles through which he was responsible for building up business development team for several vertical segments, a regional engineering team, and forming close alliance with industry ecosystem partners. Prior to joining Arrow, Jacky was regional sales manager in National Semiconductor (acquired by Texas Instruments in 2011). 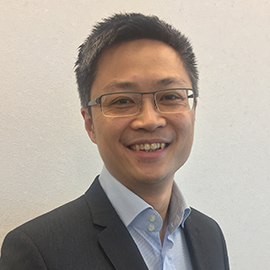 Jacky began his career at National Semiconductor in 1999 as a testing engineer and moved into software design and application engineer roles. He was then promoted to take on various sales and product marketing positions. During his tenure at National Semiconductor, he won several top employee awards in recognition of his outstanding performance and contributions. Jacky holds a bachelor’s degree in engineering from the University of California, Los Angeles, and he completed the executive management program at the National University of Singapore. Arrow Electronics is a global provider of products, services and solutions to industrial and commercial users of electronic components and enterprise computing solutions, with 2016 sales of US$23.8 billion. Arrow serves as a supply channel partner for more than 125,000 original equipment manufacturers, contract manufacturers and commercial customers through a global network of more than 465 locations serving over 90 countries. A Fortune 150 company with 18,700 employees worldwide, Arrow brings technology solutions to a breadth of markets, including telecommunications, information systems, transportation, medical, industrial and consumer electronics. Arrow provides specialized services and expertise across the product lifecycle. Arrow does this by connecting customers to the right technology at the right place at the right time and at the right price.